Barriers to communication abound in our ever changing world. Can personality tests really help improve communication? The DiSC® Model can. More than a personality test, DiSC® is an assessment tool that helps individuals understand their particular personality style. And with each personality style there are inherent dominate traits. 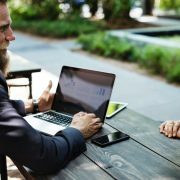 Understanding these traits and how they impact behavior can help improve communication among team members. Because DiSC® reveals how a particular personality style influences others, the strength lies in understanding how each personality’s behavior impacts others. Consider the physical barriers to communication. If your work space does not have an open floor plan, then it is possible the supervisors and managers have doors to their office space. For those team members who enjoy free access to their bosses, closed doors may intimidate them. Without an assessment of your personality style, you may have trouble understanding this trait. The Dominant personality style naturally communicates in a direct, straight-to-the-point method. However, this style is offensive to people from various cultural, educational or economic backgrounds. DiSC® not only helps leaders know their style of communication, but can assist others in understanding how another personality style responds to information delivered in a particular manner. What if your work space is open but there are some positions that require analytical thinking to solve complex problems? 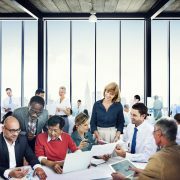 If the office environment blends talkative and Influencing personality styles with a room full of analyzers who talk very little, there is bound to be some tension. With an understanding of DiSC®, office planners have the ability to strategize about where to place employees to limit this type of conflict and improve communication. 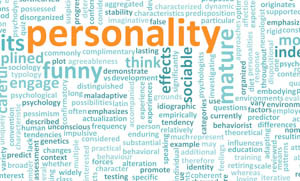 Maybe you have an employee who exhibits the characteristics of the Steady personality style. However, lately, this person has been complaining about the time commitment he has invested in the organization and seems to be weighed down. Because their personality is naturally accommodating, an understanding of DiSC® can help them balance professional and personal goals. Ever work near an employee who keeps their work space junky? For a Compliant personality style this can be very unnerving. DiSC® can pinpoint those organized individuals who become flustered when interacting with someone who is not as detail-oriented. 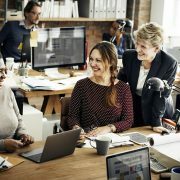 What may appear to be a problem because two people are from different backgrounds might simply be a difference in how they utilize their work space. A magic formula to improve communication does not exist. Cultural, emotional and gender barriers are not likely to disappear. However, increasing awareness through education and mutual respect goes a long way to better manage these barriers and improve communication. Contact Magnovo Training Group to learn more about the DiSC® personality test.